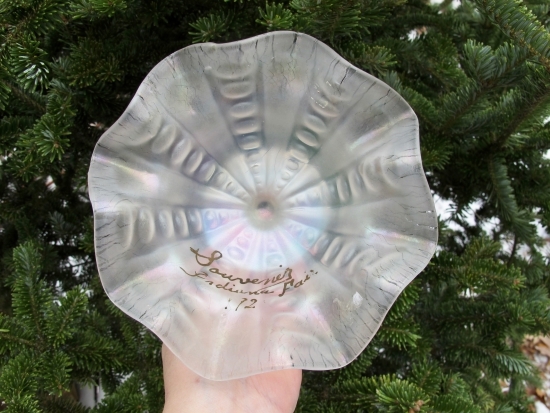 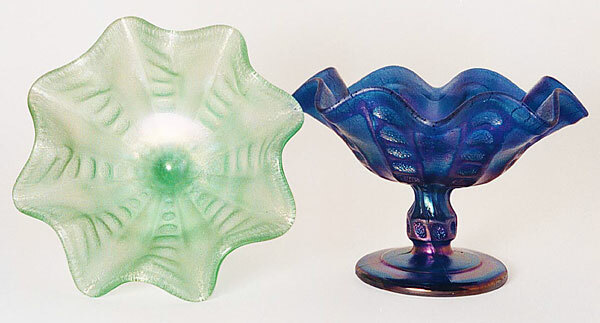 These compotes have an exterior pattern with columns of stippled thumbprints. 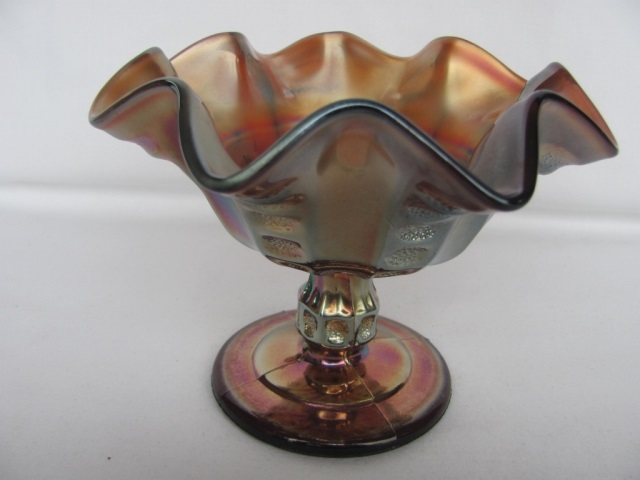 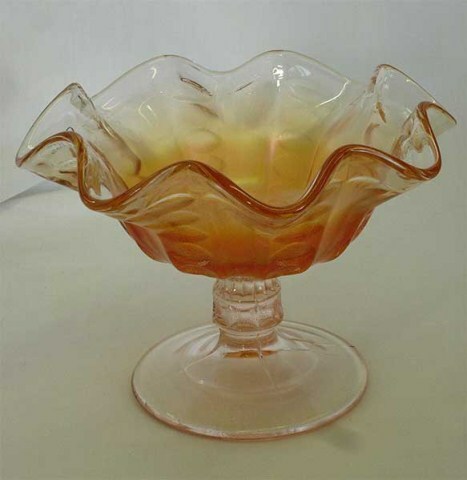 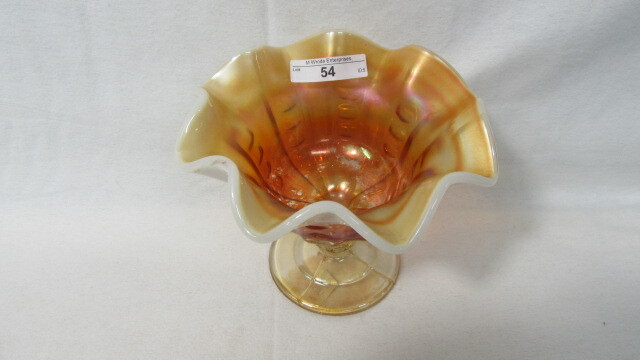 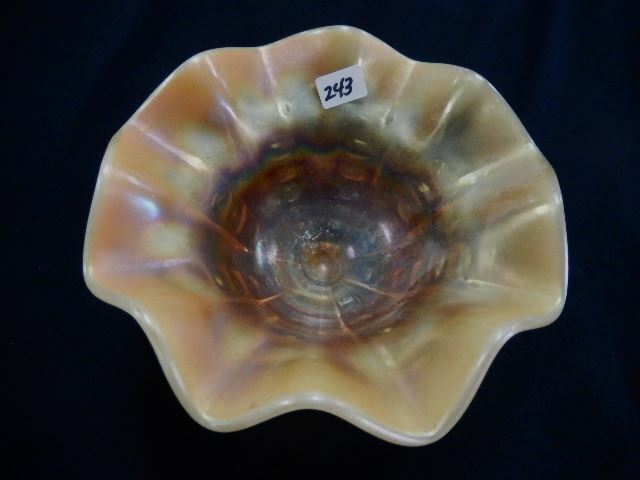 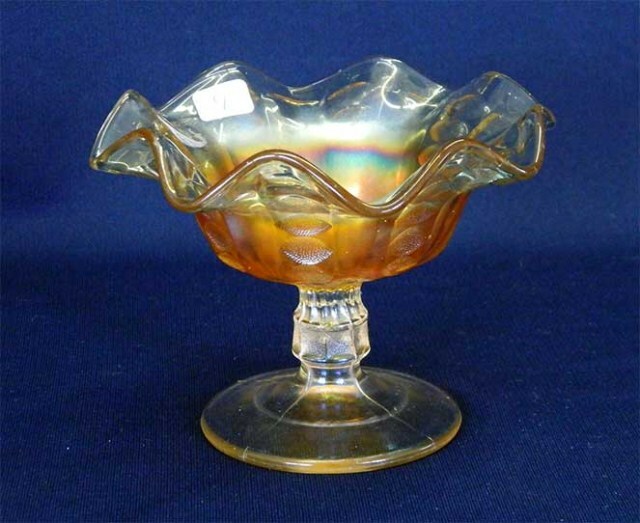 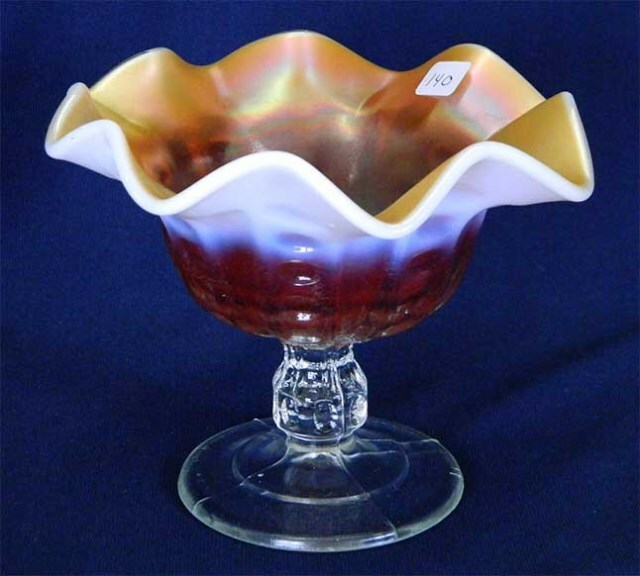 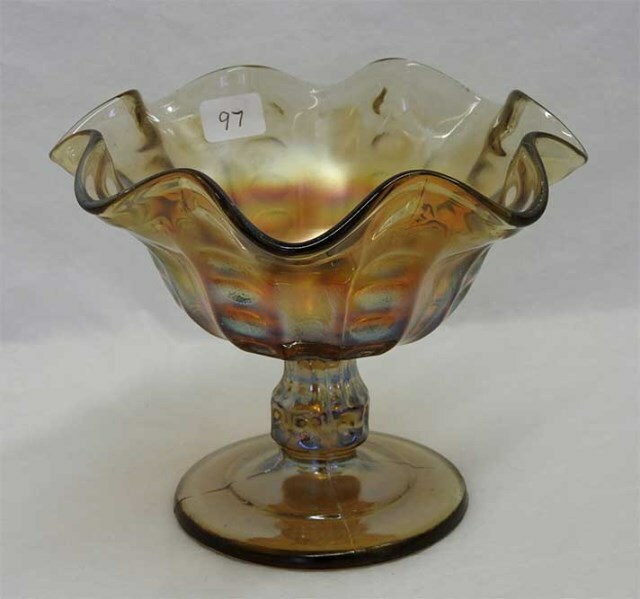 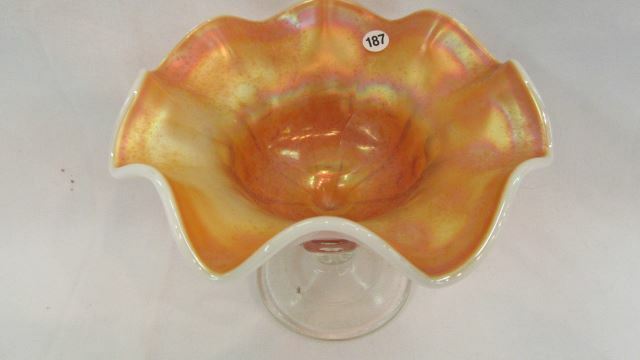 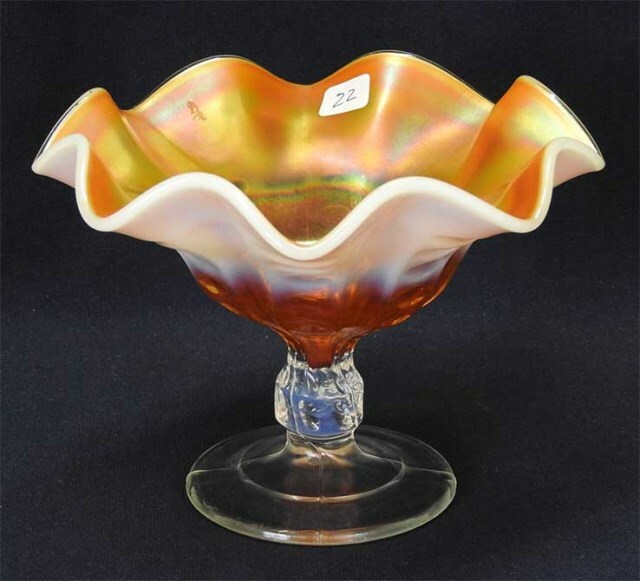 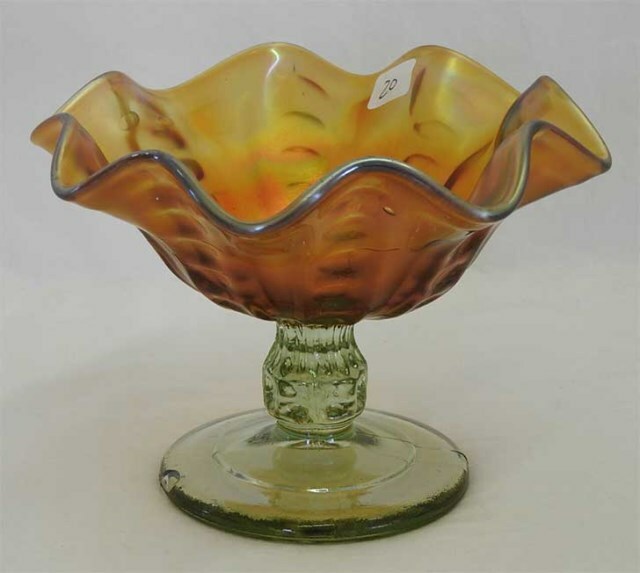 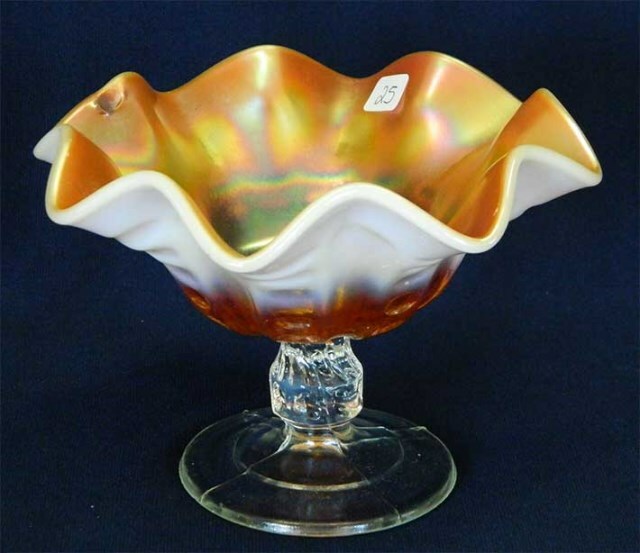 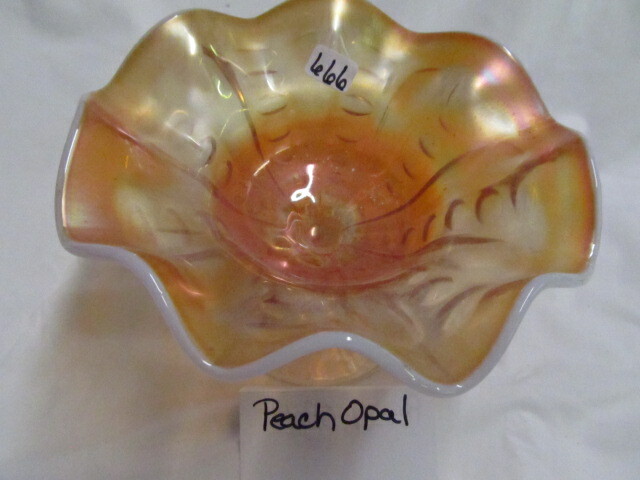 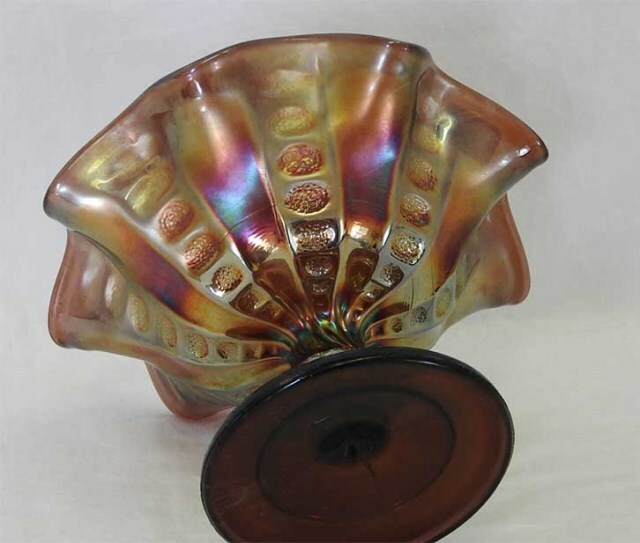 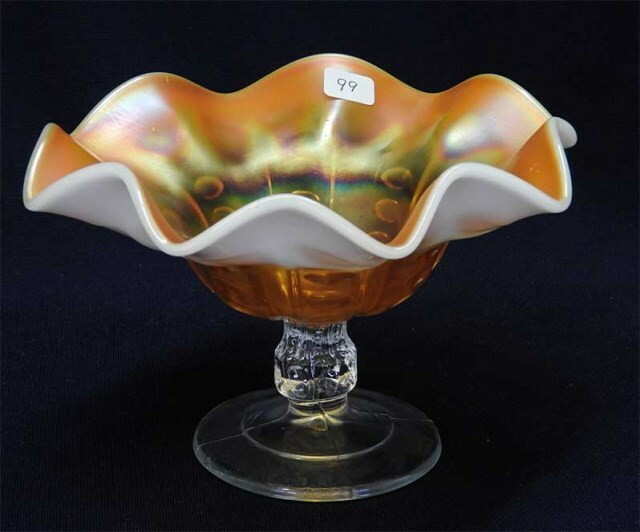 Mostly seen in peach opal and marigold; rarer colors such as celeste blue and cobalt blue are the most desirable. 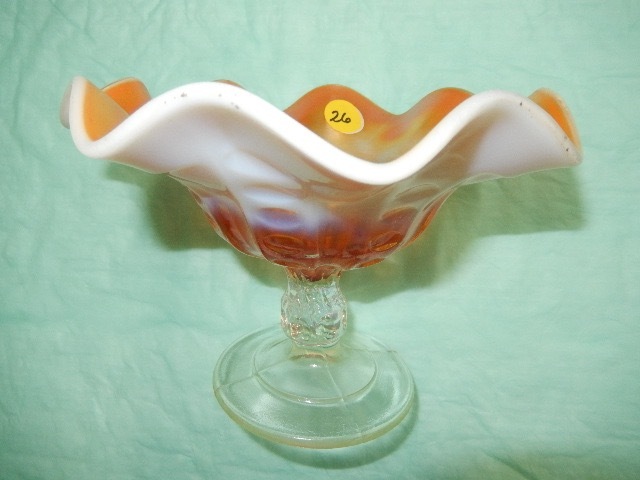 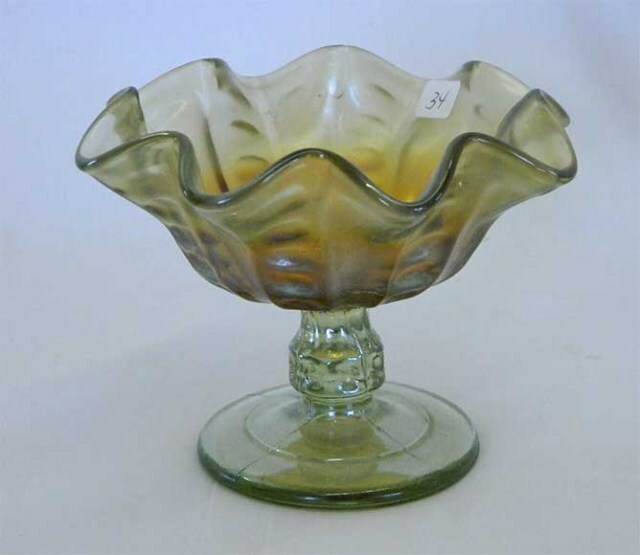 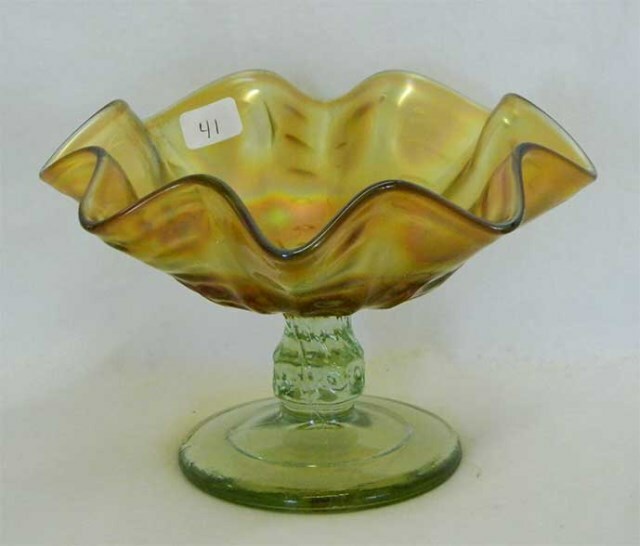 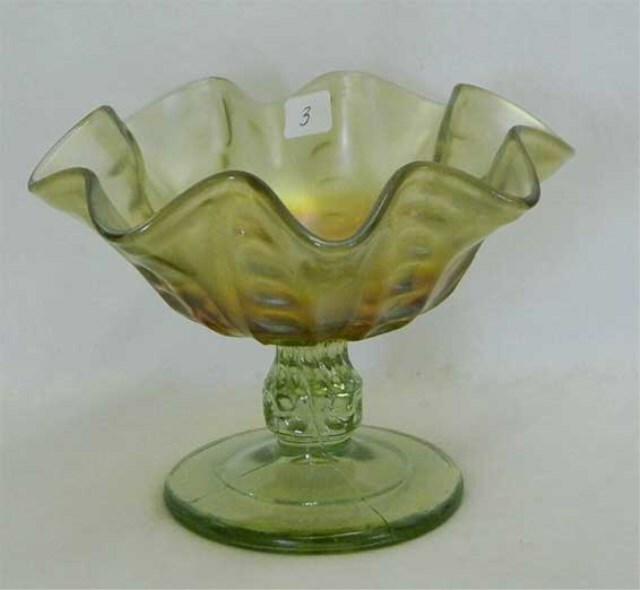 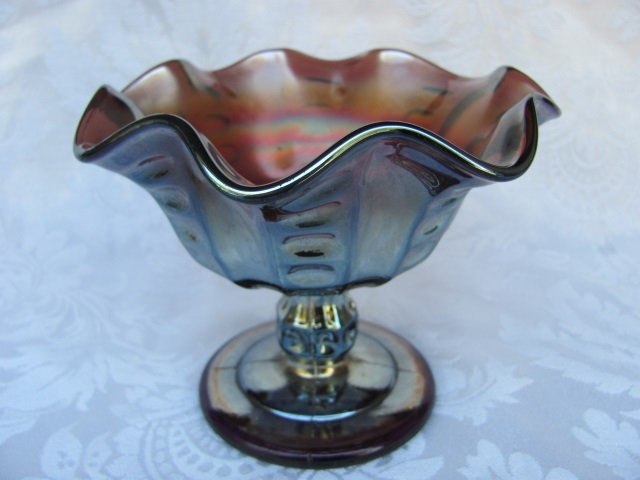 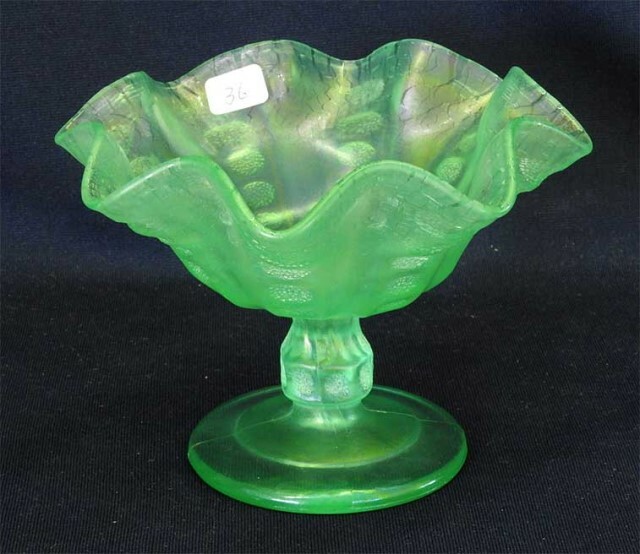 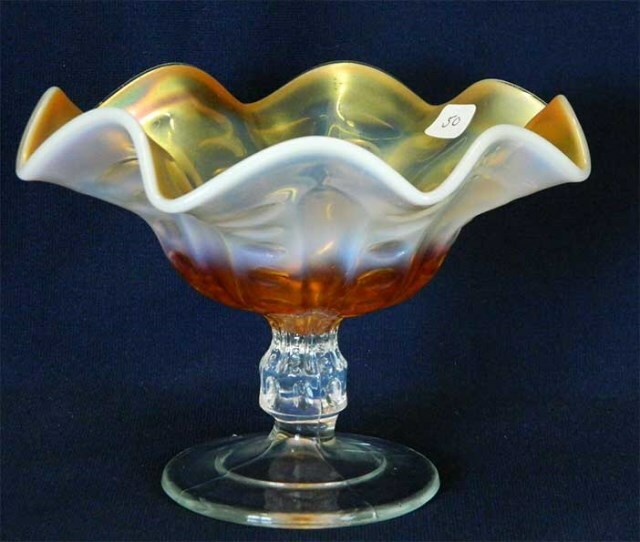 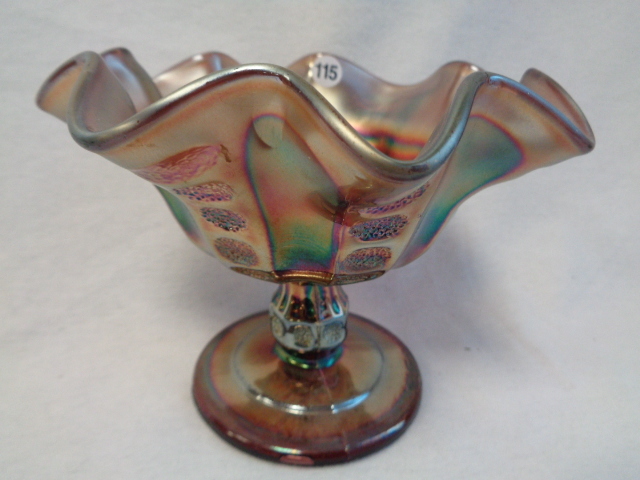 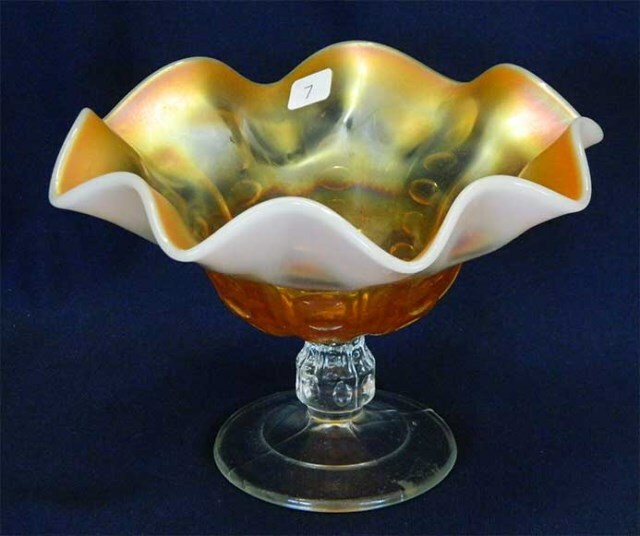 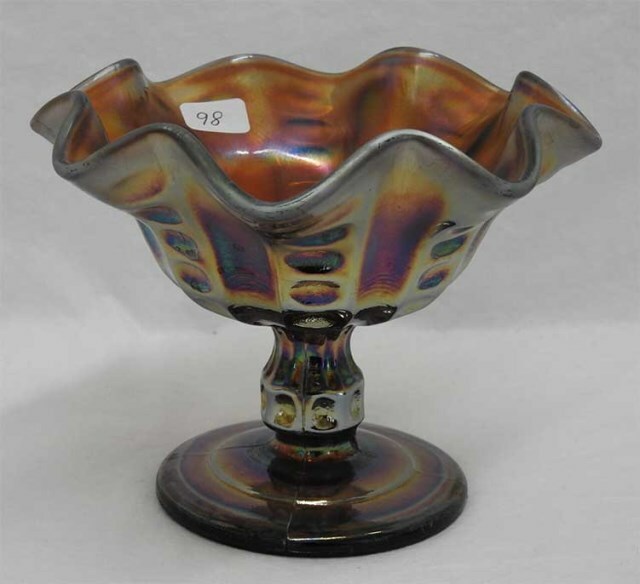 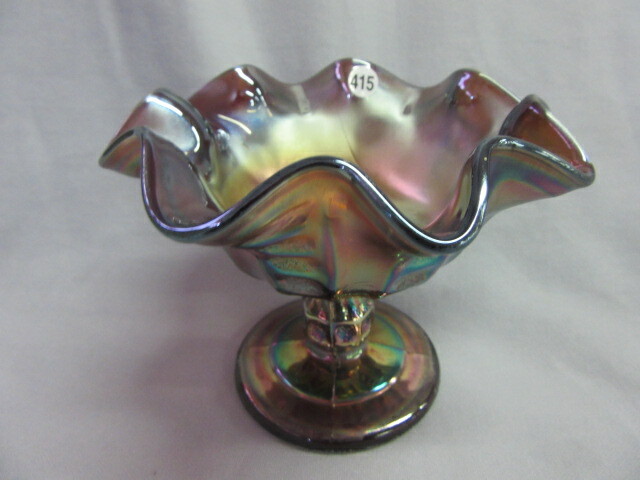 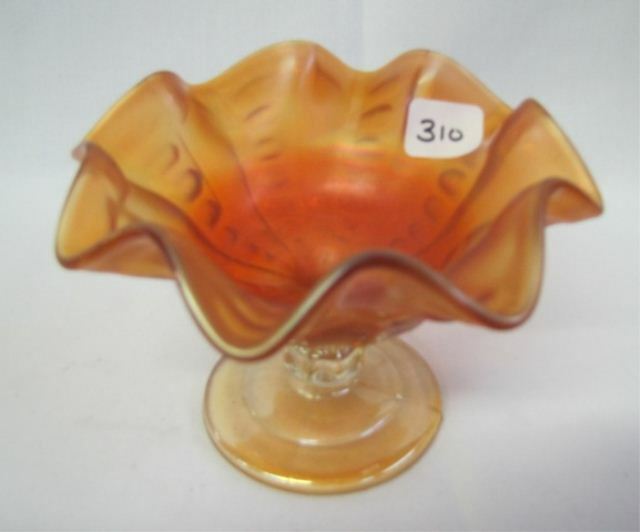 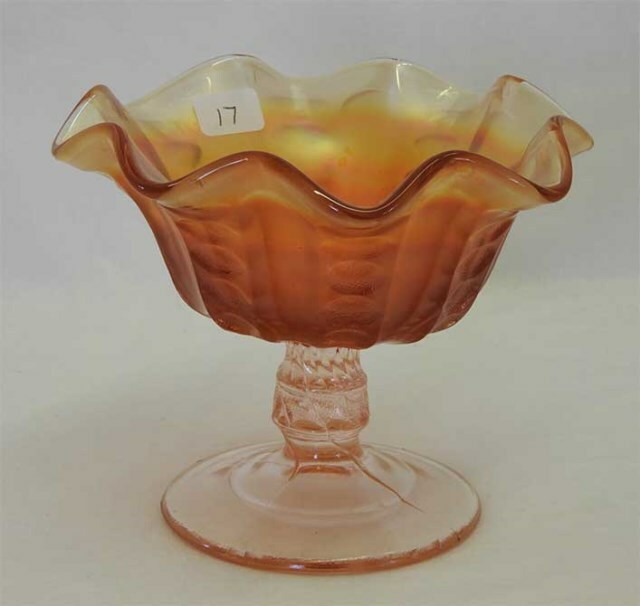 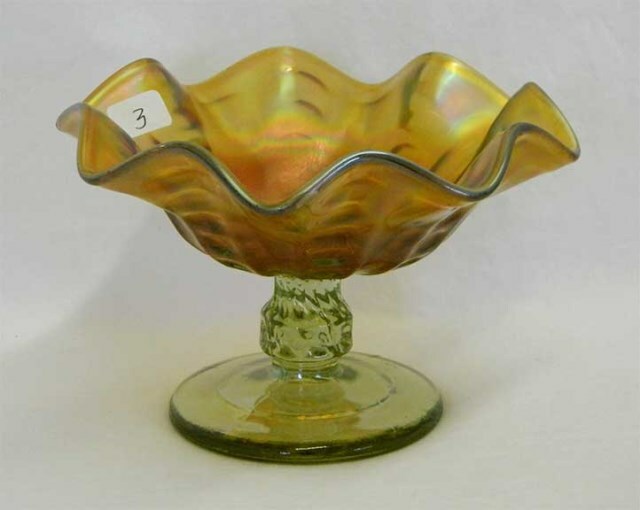 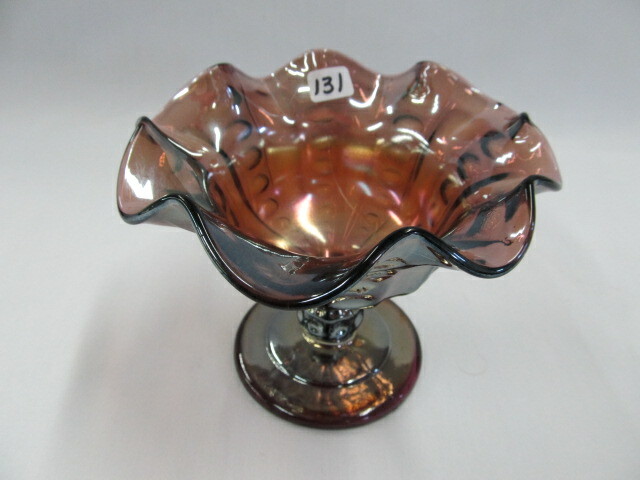 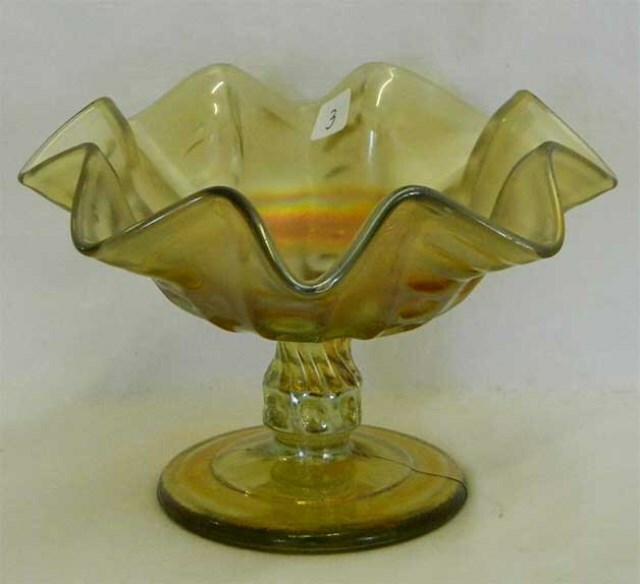 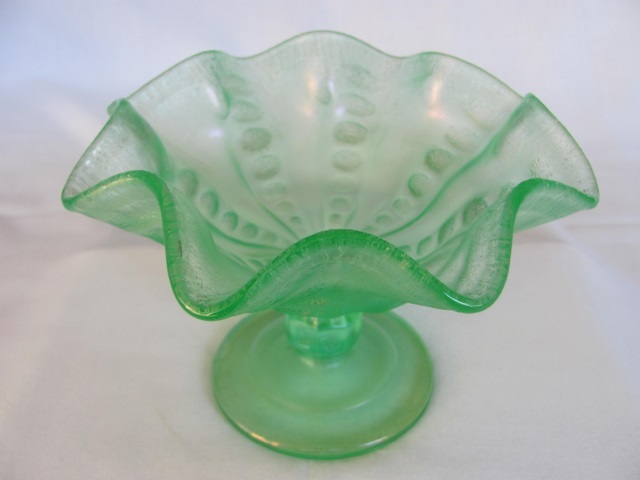 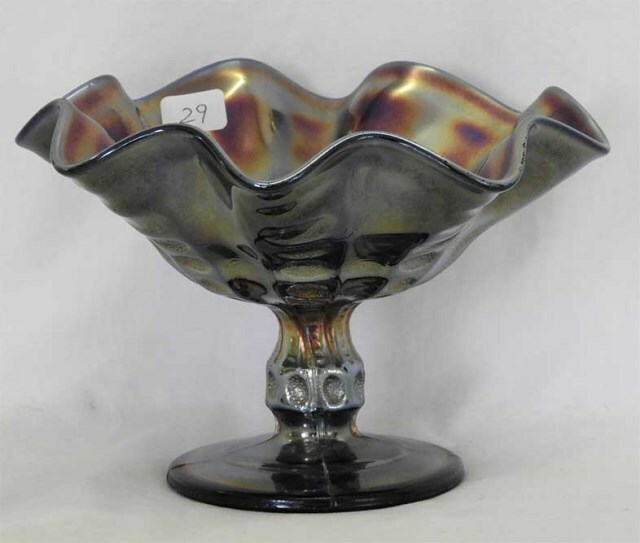 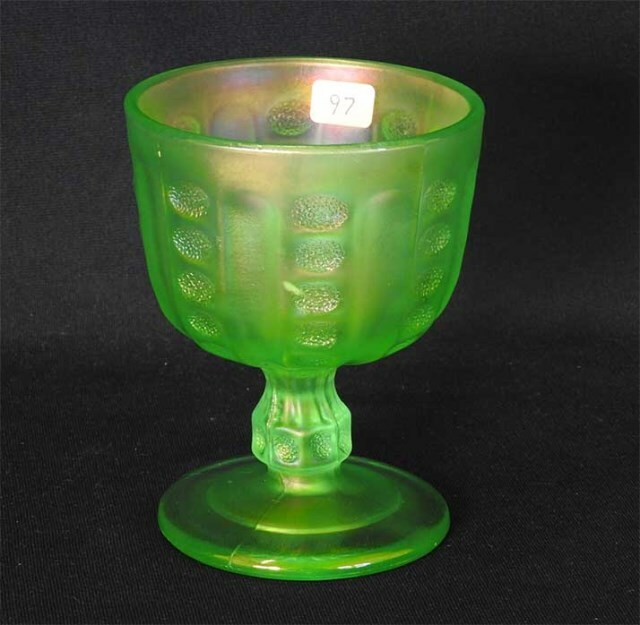 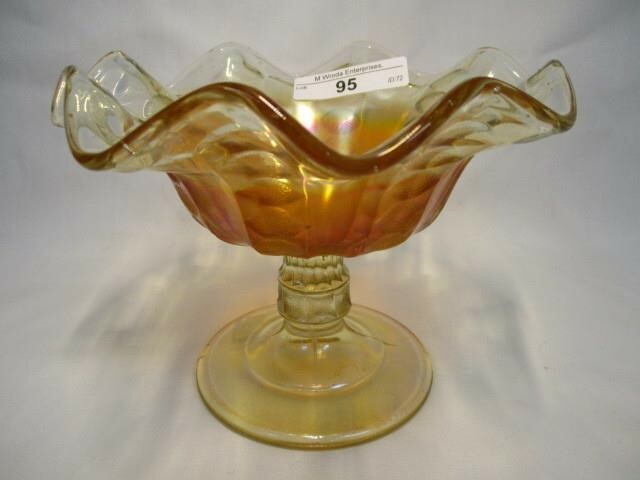 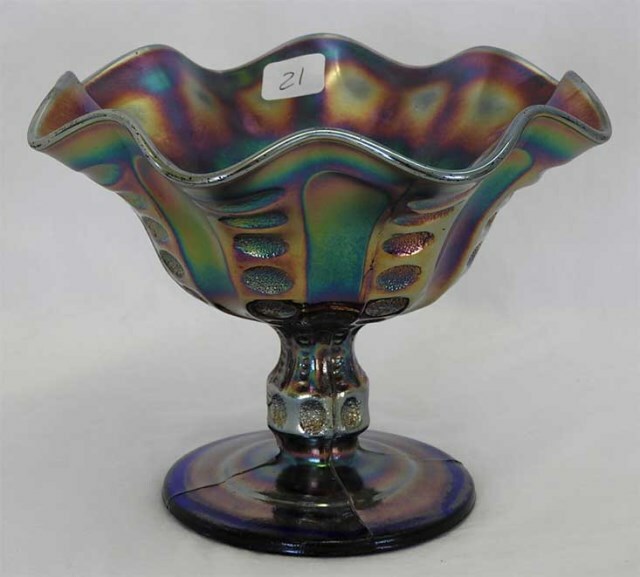 Note that auctioneers sometimes identify these as Coin Dot although they are not that Fenton pattern. 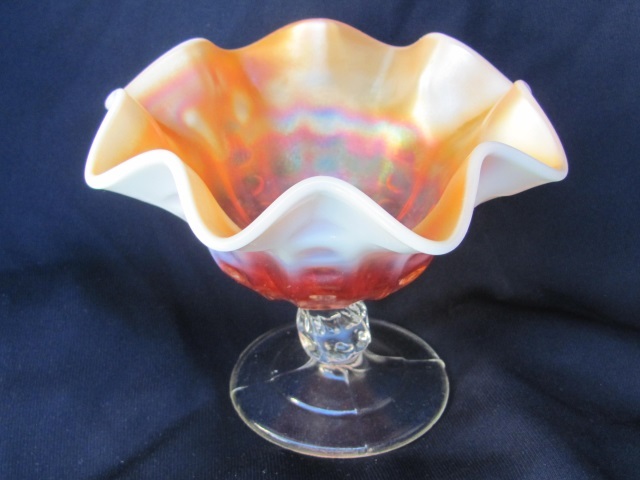 The pattern may be called Thumbprint. 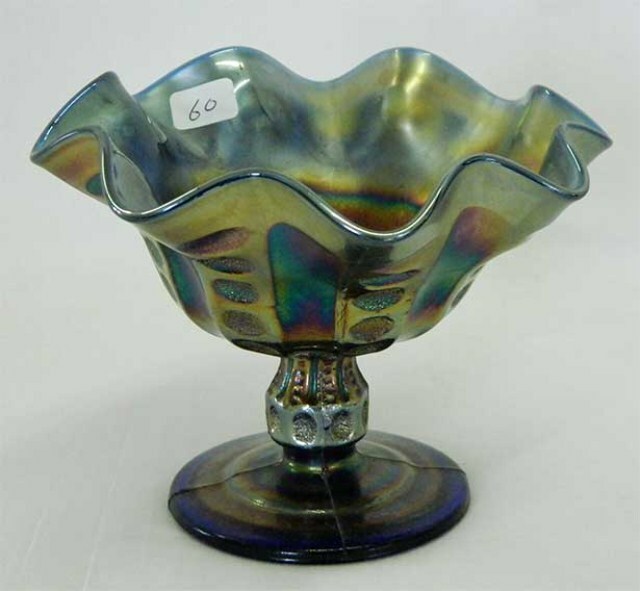 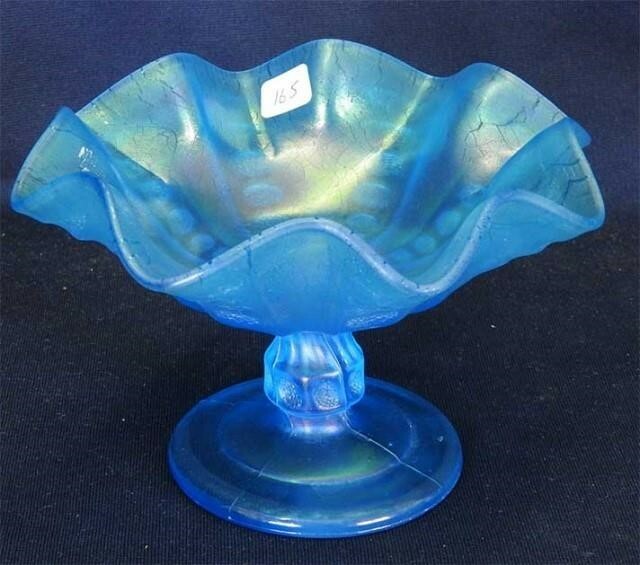 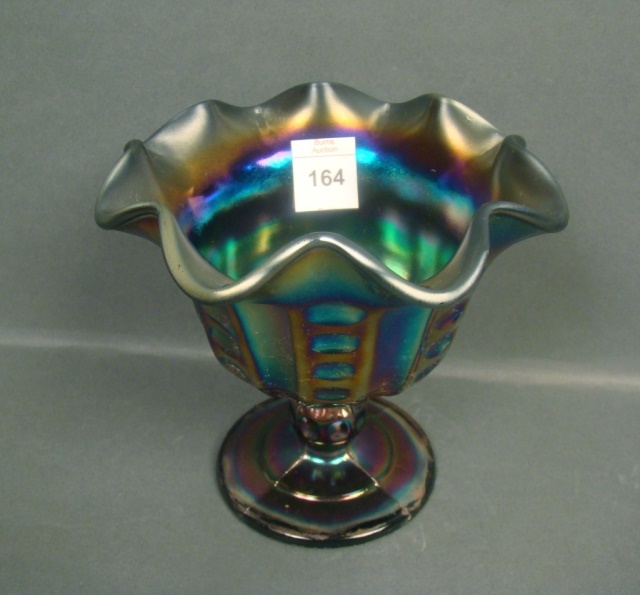 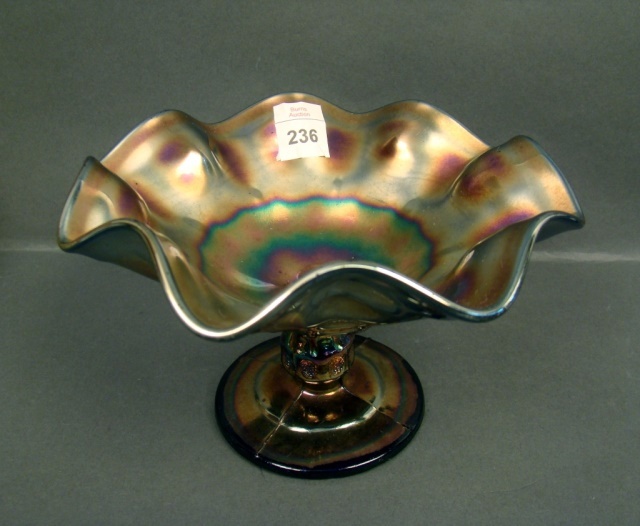 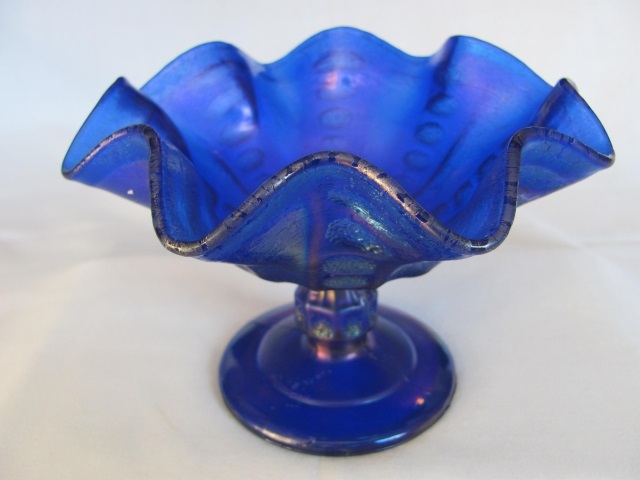 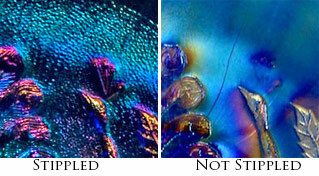 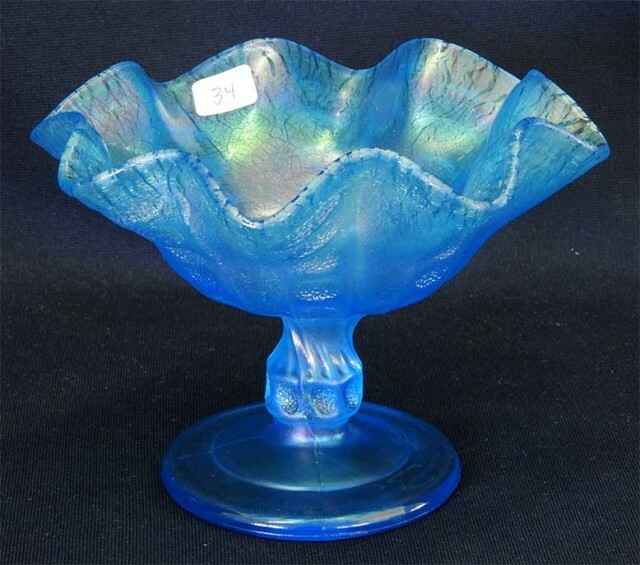 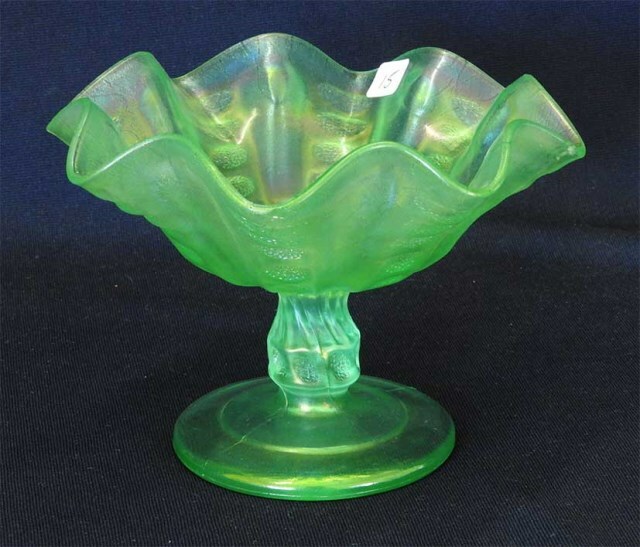 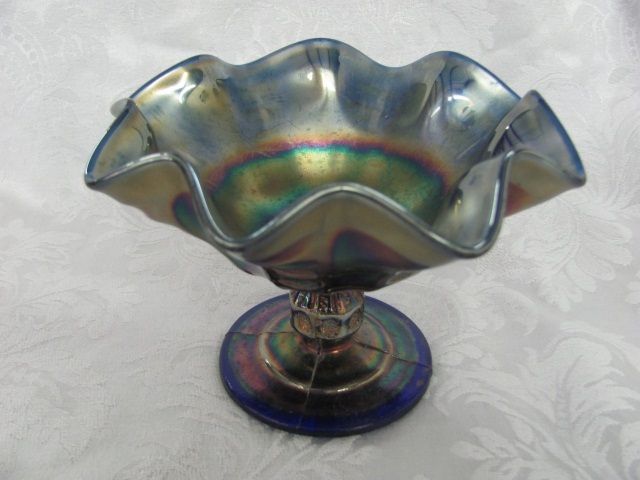 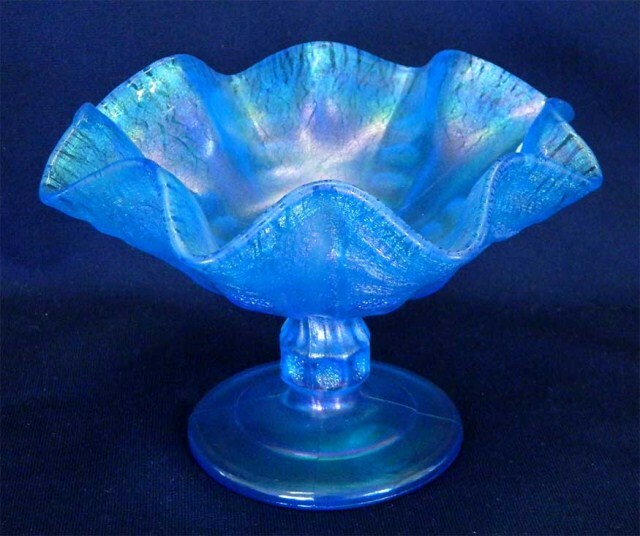 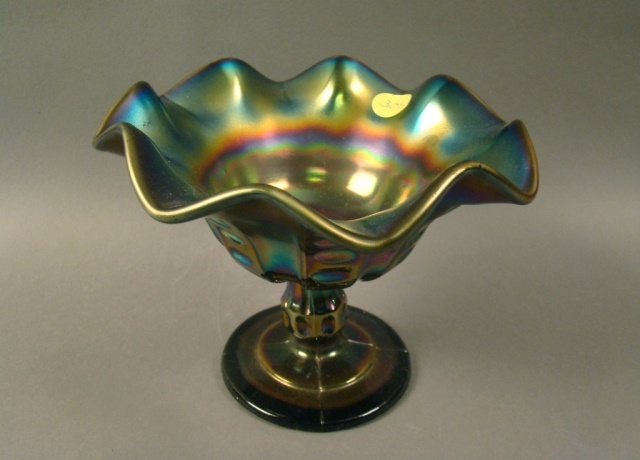 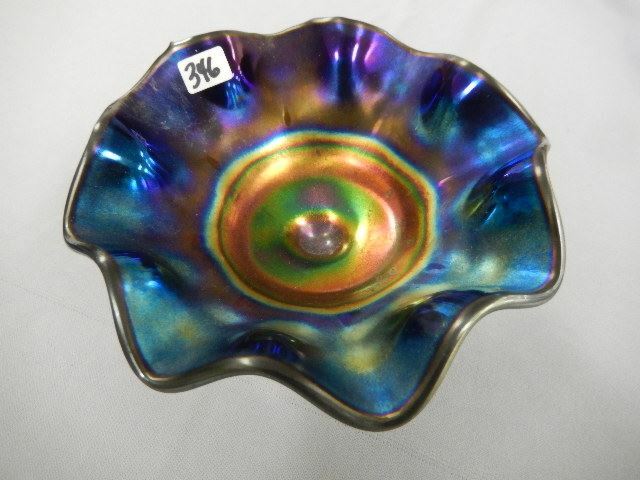 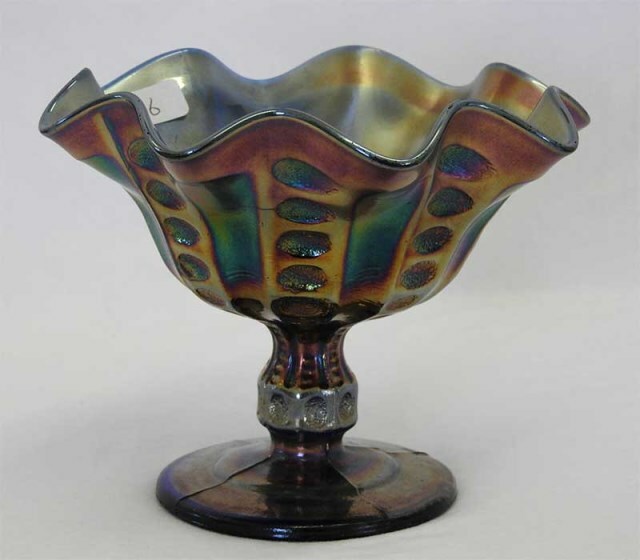 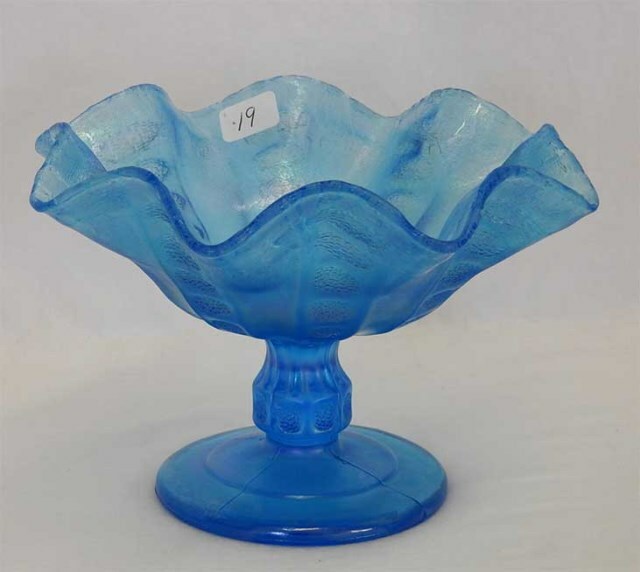 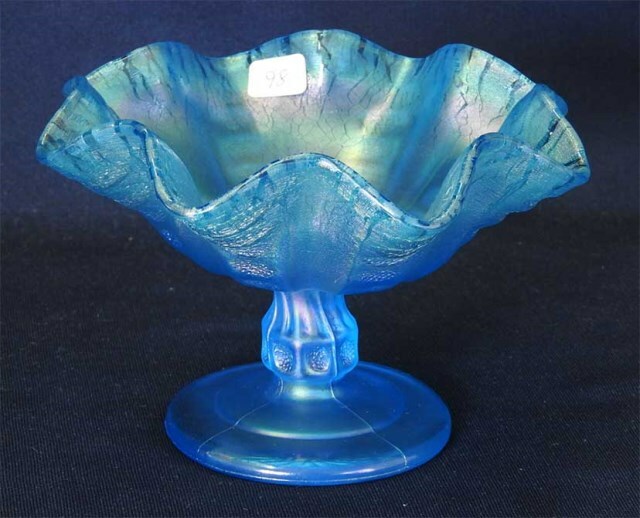 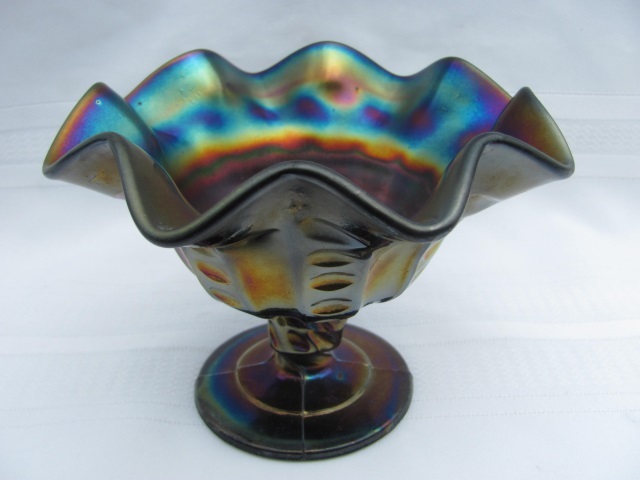 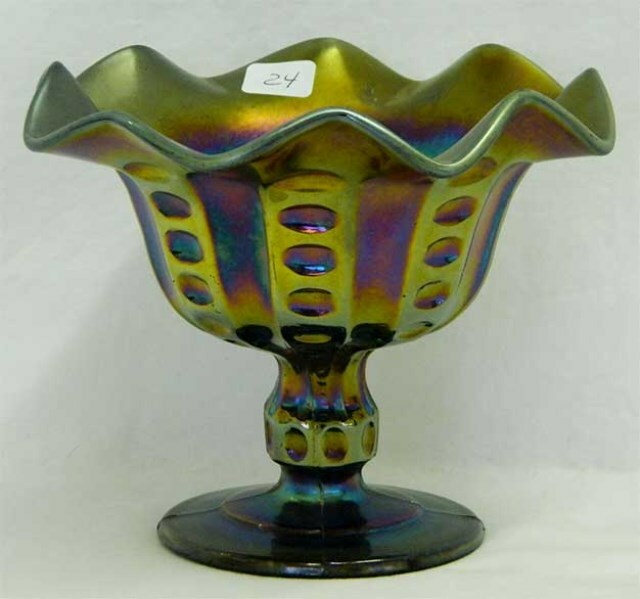 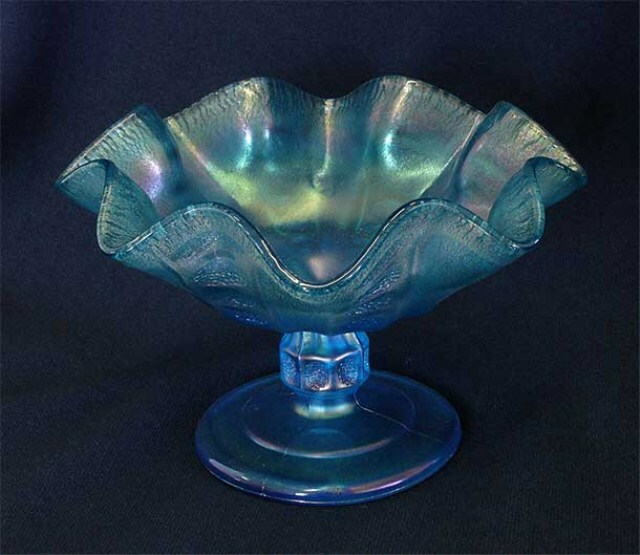 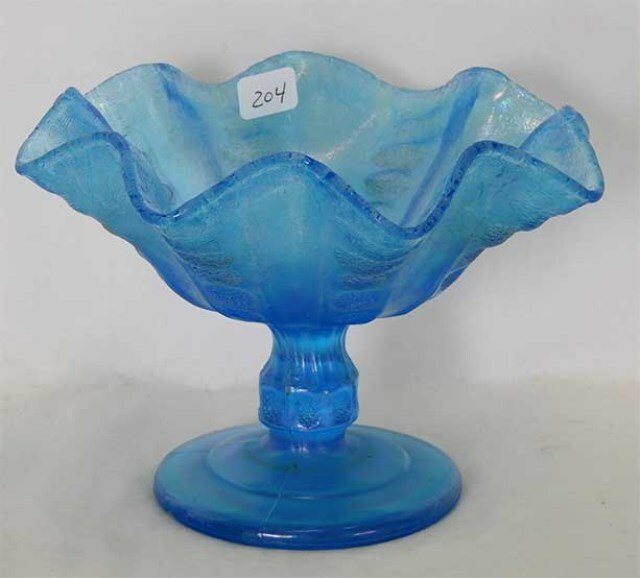 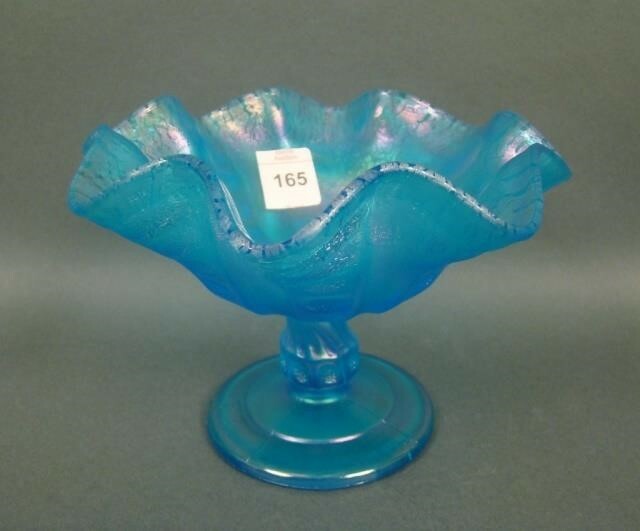 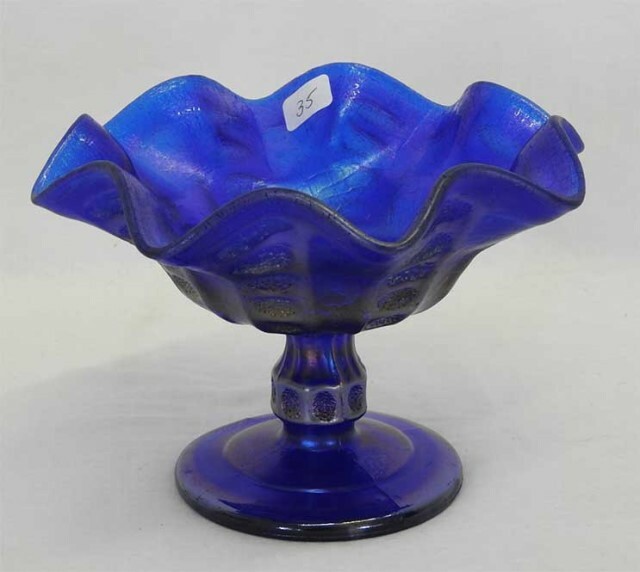 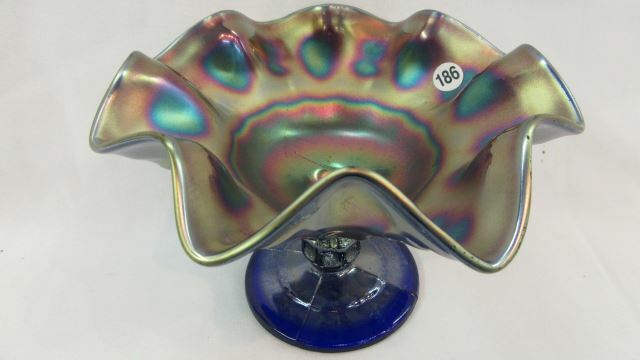 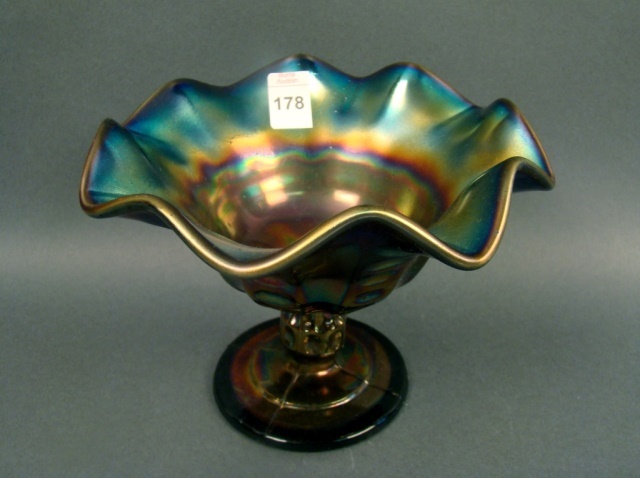 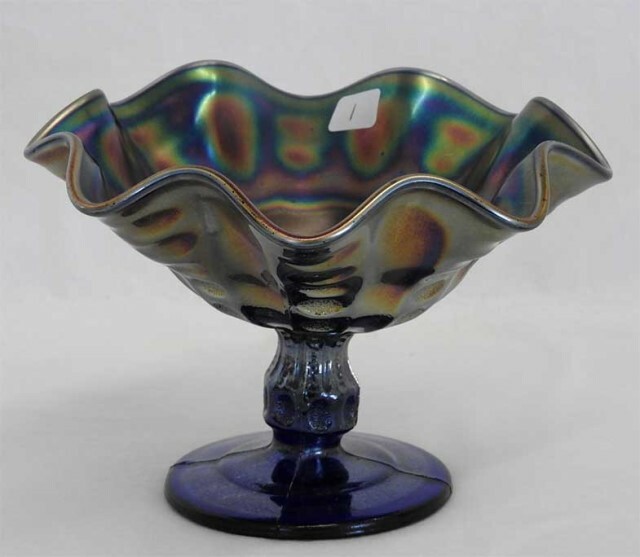 The two examples above, in ice green and cobalt blue with stretch iridescence, are courtesy of Carl and Eunice Booker.